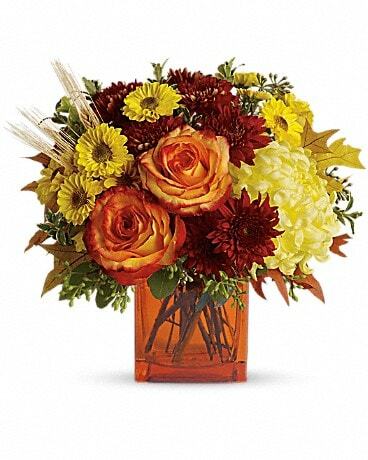 Fall in love with this charming arrangement. 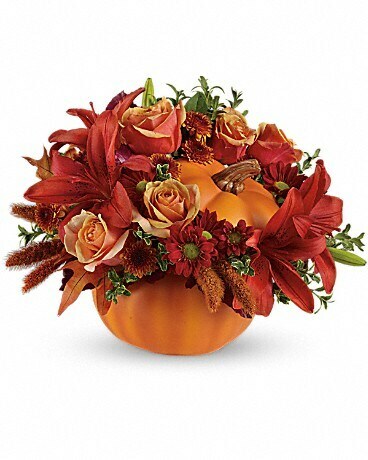 Orange roses, dark orange asiatic lilies, bronze button spray chrysanthemums and burgundy copper beech leaves fill our best-selling ceramic pumpkin. 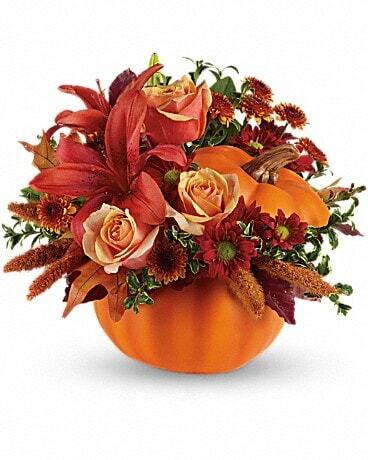 It's a versatile keepsake that adds character all season long. 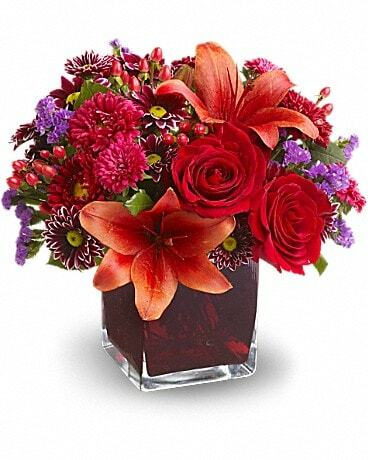 Rustic charm is in the air. 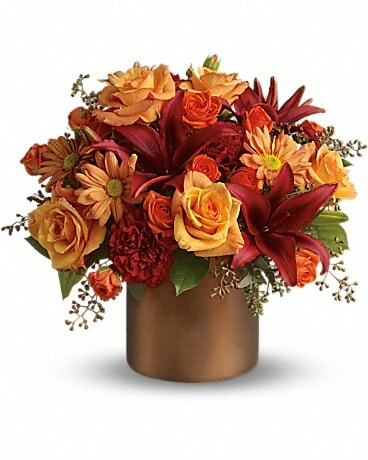 Orange roses, dark orange asiatic lilies, bronze button spray chrysanthemums and burgundy copper beech leaves will add warmth to any home. Nestled inside the beautiful, hand-painted ceramic pumpkin, this arrangement will leaf them breathless.